How realistic is it that the general public will be using driverless cars in the near future? This question was answered on March 22, 2018. Much of the information contained herein may have changed since posting. 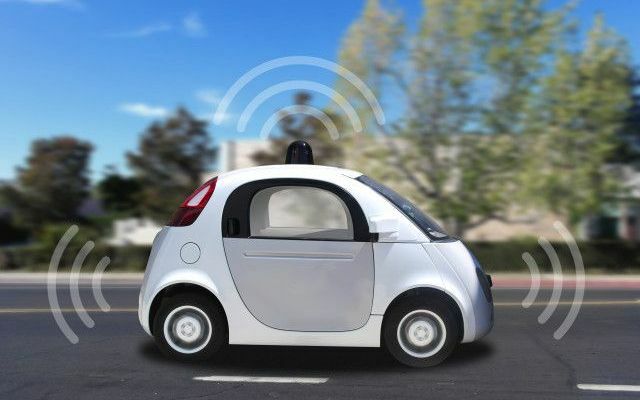 The hype surrounding autonomous vehicles has been growing as just about every car manufacturer and many hi-tech firms race to be the first to market. The rewards, both financially and in saving human lives are clear - traffic accidents create billions of dollars of damage and over 40,000 traffic related fatalities every year. The first real ‘autonomous’ cruise control was introduced in 1995 (level 1), while most of today’s new cars incorporate technology that would be considered level 2. Most of the test vehicles that you may see on public streets are level 3 prototypes, which is why there’s always someone behind the wheel. Google has actually been testing level 4 vehicles in Phoenix since last October, where there is no one behind the steering wheel, but it’s limited as to where it can drive. The technology continues to evolve, but we’re a long way from the utopian world where all vehicles are self-driving. We have to develop the regulations, insurance models, liabilities and even moral guidelines for technology that never existed before. Even if traffic fatalities are cut in half by autonomous vehicles, the moral outrage over a single death at the hands of a machine will exist. Integration with human drivers will be another challenge, as these ultra-cautious automated vehicles and aggressive human drivers will have to figure out how to get along. I experienced this first hand this year at CES as I rode in a level 3 vehicle on the streets of Las Vegas. I equated the experience to having my grandmother driving me around as the vehicle waited to turn right at a crosswalk causing the human driver behind us to lay into his horn. The vehicle also slowed down every time it perceived an adjacent car was drifting towards our lane. The recent Uber autonomous vehicle involved fatality, which is considered the first of its kind, raises lots of questions. Radar and lidar technology is supposed to be able to detect obstructions in the dark far better than the human eye, but it didn’t seem to work in this situation. The question remains as to whether a human driver would have been able to avoid this accident, but autonomous vehicles are going to have to perform at nearly perfect levels in order for them to become mainstream.